This text introduces students to the marketing strategies and tools that practitioners use to market their products. The author of this book defines and explains the various marketing areas and their comparative strengths and weaknesses. A basic textbook from which the reader could learn the fundamentals of communication as it is applied to marketing. The most important concepts that underpin the strategy of effective marketing communications are identified and explained. The authors give 31 marketing tips to start New Year successfully. The New Year calls for new resolutions and goals. This book gives 31 marketing tips for beginners and will help jumpstart marketing your business for the new year. Explores the theoretical underpinnings of relationship marketing and offers insight into important managerial issues: understanding the financial impact of relationship marketing, building and maintaining strong relationships, and more. An idea is taken for granted in the scheme of things. Someone exclaims, 'I've got an idea!' What is it that he has? From where did he get it? How was it transmitted? How might it spread to others? These are the questions dealt with in this book. No matter what kind of book you've written, its success depends on two things: It must serve a need, and you must find its audience. This book is an amazingly rich collection of cutting-edge promotional tactics and strategies. With marketing messages reaching saturation point, getting your company's message listened to is an ever-increasing challenge. Permission marketing gets you past this barrier by creating a willing and receptive audience for your communications. Winning the Zero Moment of Truth is a powerful new eBook by Jim Lecinski, Google's Managing Director of US Sales and Chief ZMOT Evangelist. Jim shares how to get ahead at this critical new marketing moment, supported by exclusive market research. Google offers many useful products and features that span from its advanced web search applications to working on the cloud and social networking services. This book demonstrates the wide scope of Google products beyond the simple search. The book teaches the experience and process of actually doing marketing - not just the vocabulary. It carries five dominant themes throughout: Service dominant logic, Sustainability, Ethics and social responsibility, Global coverage. Where will you advertise? How will you generate a buzz about your business? What are the most effective marketing methods around? In this textbook we'll cover what the best approaches are to marketing your business more effectively. The author consolidates 11 years of real experience into a full length textbook that draws on both academic theory and practical experience. Intended for marketing students, this textbook covers all of the important aspects of online marketing. Contents: So what is marketing? What can be marketed? 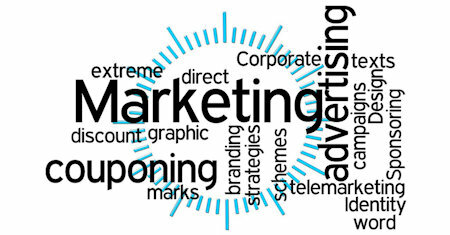 Marketing's role in the business; Segmentation, Targeting and Positioning; Branding; The Marketing Mix; Product Management; Marketing Communications or Integrated Marketing Communications; etc. This book reveals the fundamentals of good presenting practice. Highlighting the major guidelines followed by successful presenters it offers ideas that you can follow to make your presentations more masterful, using sets of top tips and ideas. A Basic Guide to Exporting is a good place to begin for anyone who's never had a course in international marketing. The book's sixteen chapters provide a comprehensive study of international marketing, and how to look at exporting as a process. Make sure you are well prepared for your exam. The book covers exploratory and conclusive research design, sampling, measurement and scaling, questionnaire design, data preparation and preliminary data analysis, report preparation and presentation. This free textbook introduces the reader to the principles and tools of marketing research, from designing either an exploratory research design or a conclusive research design, to sample sizes, questionnaire design to data analysis. The book introduces students to the marketing strategies and tools. It starts with a discussion of the marketing planning process, continues with the preliminary tasks of developing the plan, and the tactics available to the marketing planner.